Just Winging It: Healthy Cookies? O.K. these are probably not that healthy, but It does have many of the ingredients found in a granola bar recipe. It is a tasty recipe and will make it again. So here is the recipe. Combine all ingredients, drop by round teaspoonfuls on greased cookie sheet, bake at 350 degrees for 8-10 minutes or until done. Yup, very healthy as far as I'm concerned, and I'm not joking. Lots of great ingredients full of vitamins, and the body needs sugar too. It's all about moderation and staying active. Thank you for sharing these cookies at Joy of Desserts. They look delicious. Yum! I think Im going to have to try these! Im a new follower from the "Tiggerific Tuesday! Blog Hop...or Bounce." Would love it if you could come by my blog handiebrandie.blogspot.com ! I just love love love this! Thanks for linking up to Tea Party Tuesday!!! I'd say they're good enough for me! Thanks for posting, I'll have to give them a try. And I love your blog, am a new follower! They are very healthy as far as cookies are concerned and they look delicious too! I'm saving this recipe to make soon. Thanks! 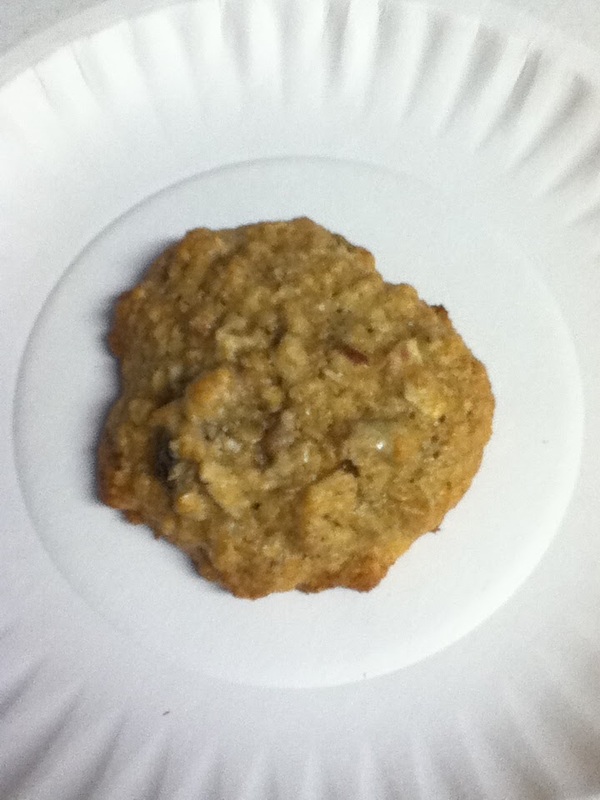 they sound yummy and very filling...thanks for linking up to fridays unfolded! They look fantastic - healthy or no... and very healthy as I'm concerned! Thanks for linking up to Friday Potluck! I just love the combination of goodies in this cookie. It looks delicious! Hope you have a great week end and thanks for sharing with Full Plate Thursday! wow! These cookies look delicious! I found your blog through a link party and I love it! I am your newest follower and would love it if you would come check out my blog and follow me too! Thanks so much! I am just going to tell myself that they are healthy! ;) Thanks for sharing this awesome recipe with us on out link up party! Hope to see you again soon. Well, they are better than nothing! Thank for posting - I am following you from the No Rule Blog hop! Hope you are enjoying your weekend! These cookies do look and sound healthy! I don't care, I would just categorize these as healthy! LOL Thanks for sharing. They actually ARE quite healthy and I am definitely going to try them. Hubby had a heart attack two weeks ago and we are both on low fat, low sodium diet now for life. I could even substitute part or all of the oil with applesauce. Thanks for sharing this! well...they aren't unhealthy! thank you for sharing with tuesday night supper club. Hi! Thanks for sharing this interesting receipe. Visisting from Homemaker Party and have just become a follower. Hoping you will do the same. They look and sound so delicious! Thank you so much for linking up to It's a Party! Healthy, but delicious, I'm sure. Thanks for sharing on Sweet Indulgences Sunday. Love oatmeal cookies, thanks for the recipe and for linking up to the NOBH!